Drewry Construction is a family owned and operated company that has been serving the greater Fredericksburg, Virginia area for over twenty years. We are committed to providing our customers with the highest level of service by conducting business with skill and professionalism. Drewry Construction has developed a solid reputation as an ethical, reliable and reputable builder whose expert knowledge and workmanship ensures architectural innovation, tremendous quality and superior customer service. We work closely with our customers to ensure their renovation, addition, or custom home exceeds their expectations in every way. We pride ourselves on treating every customer's home like it was our own. Are you looking to add an addition to your home, renovate an existing room, or build the home of your dreams?  Contact Drewry Construction today and will take you from design to completion.